You’ve always wanted to work in a public library. You believe in service, citizenship, and community. You value relationships; when you imagined being a librarian, you imagined participating in local government and getting to know your patrons by name. You want to make a big impact—not just in your career, but in people’s lives. You want to be a generalist, not a specialist. You want to have a great quality of life on a librarian’s salary. And when you started library school, you wanted to be a traditional, book-based, community librarian, but it seems like those jobs are either disappearing or impossible to get. If that sounds like you, you may be a rural librarian at heart—which is great news, because rural libraries need you. These jobs rarely appear on listservs or job boards, but the “graying” of the profession is very real in rural libraries. 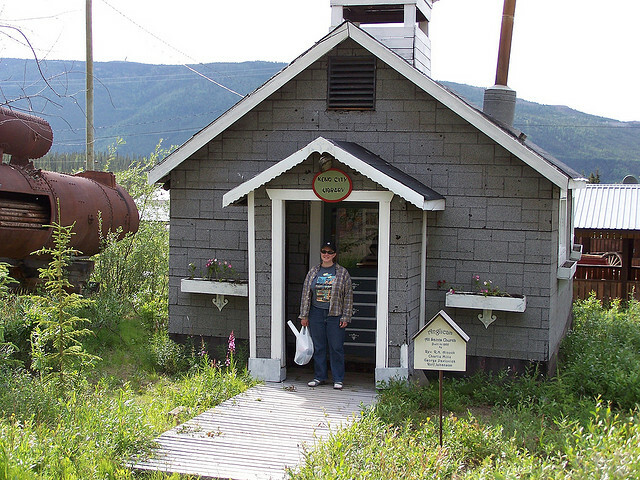 Many rural libraries have a long-serving librarian (or staff) who will be retiring soon. And since rural libraries are often quite small, you can quickly rise to an influential leadership role and have a strong say in how these small libraries meet the challenges of the future. I’ve worked in a rural library since before library school—four years this month—and I love my job. Every day I go to work knowing that I will make an impact on someone’s life. Every day something terrific, exciting, or funny happens at my library, and though I am not in administration, I always feel like my contributions and ideas are appreciated and valued. There are many other benefits to rural librarianship. While salaries are generally low, a dollar goes much further in rural communities than it does in urban or academic communities, and affordable housing is rarely an issue. You can probably afford to live much closer to a beach, farm, or lovely national park than you imagine. If the library is adequately staffed, working conditions are also good. Rural libraries enjoy strong community support, and small staffs often work together to ensure flex time is available for things like childcare and family events. Rural libraries are usually quite safe—while no public library is conflict-free, your patrons are more likely to bring you homegrown vegetables than complaints. Best of all, rural libraries serve as true community centers, where far-flung and diverse groups can come together. A rural library often serves as a small town’s largest meeting room, its only Internet hotspot, the only local, affordable entertainment for adults and children, and an access point for badly needed social services. My library serves as the physical “office” for employment services, child welfare and legal aid. Of course, no type of library is for everyone. Rural libraries are generalist libraries. As a rural librarian you will frequently be called to do things your master’s degree never prepared you for, from running a farmer’s market to repairing a child’s shoe. If you’re interested in doing something quite specialized or academic, it’s probably best to begin your job search elsewhere. If you need to be surrounded by other young academics, or enjoy a lot of social activities, then you probably won’t enjoy the quiet and isolation of a rural community. If you’re married, it can be a challenge for your spouse to find work in town. Finally, in small towns there is little division between your personal life and your work life. Your patrons, co-workers, Friends group, Board of Directors, and government leaders are also your friends and neighbors. Sometimes it feels like you’re never off the job! For this reason, it’s very important to move slowly, get community buy-in, and be prepared to backtrack on big changes. That can be a challenge if you’re fresh out of library school and eager to change the world. I have seen too many “new directors” leave or lose their rural jobs because of avoidable conflicts among stakeholders. It’s great to have vision and ambition, but if you’re more combative than cooperative, you’ll have a hard time achieving your goals in a small town. Even if your library seems like a mess that you were hired to fix (or “bring up to date”), plan to spend a full year or more listening and learning before you try to change the system. When you become a librarian at a rural library, you’re also joining small, stable team of prominent citizens and community leaders whose support you’ll need for years or even decades. Make those relationships a priority, and always take the long view in any conflict. If that sounds like a challenge you’re up to, then you can begin your rural job hunt locally. No matter where you live, you’re probably not far from a small library system. Check county job boards, or see if there’s a volunteer position available. Ask if you can shadow a librarian or staff member for a day or two. These jobs are not usually widely advertised. Take your time and get to know the rural libraries and communities around you. Even if you decide to look elsewhere for a permanent job, you’ll be in for a fun, rewarding and educational experience. Natalie Binder is a librarian at a small library in rural Florida. She is a graduate of Florida State University's College of Communication and Information. She is also the founder and moderator of #libchat, a Twitter chat for librarians and library school students. She can be found on Twitter @nvbinder. Rural living isn't for everyone, but it's also not something that many people consider before dismissing it. Your analysis of the pros and cons is exactly my experience, and it has been wonderful for me. I am the director of a rural library on the IA/MN boarder. I get my fair share of apples and squash from my partons but I also get a life where my days are filled with appreciation and learning. I would not change it for the world! Thanks Natalie--great article! There are a lot of things about small libraries that are often overlooked and subsequently dismissed. I think the best thing for the profession has been that with the tight job market, librarians are finding the small rural library more palatable as a job option. Bigger is not necessarily better. My own small rural library has been a real joy. I feel like I am making a difference not only in the library but also the community in which I've chosen to live. It is a big challenge, but it reaps big rewards. As an author & illustrator, I am constantly looking for good news on the book front and for some reason, this post has soothed my soul for the day. I could imagine the rural librarians across the USA suddenly standing up for a spotlight wave...THANK YOU ALL. Great advice. I started my post-MLS career at a rural library, and while it wasn't the right place for me--I left after a year for a university position in a larger city--this description definitely rings true with my experience there. Personally, I wish I had spent more time getting to know the community before accepting the job offer. Cultural fit is important for any public librarian, but it's absolutely essential for rural librarians. As you said, your work and personal life are inseparable in a very small community; consequently, you'll love or loathe your job exactly as much as you love or loathe the town and its culture, politics, etc. I love this article, I have been looking for a job in a rural library but am not sure where else to look. Many times I have had to combat people who only hire librarians "if they know them," or if they are their cousin, their friend, etc. and even an MLIS doesn't count for much in those circumstances. Lovely article, thank you. Is there a good place to look specifically for rural librarian jobs? As a commenter said above, cultural fit is really important, so you should look locally (or in a community that you know well). Openings are often advertised on rural county/city government web sites, but not much more than that. The Association of Rural and Small Libraries (ARSL) has low membership dues and is another good place to find opportunities. Job boards and job lists are not a great way to get these jobs because each library is so different. Rural libraries need to hire librarians who will fit in and who are prepared to make a long-term commitment. So it's not really about "hiring friends," but about hiring people who enjoy the work and have roots in the community. The pay scale is quite modest (high 20s to low 40s for MLIS positions*), so nobody expects you to move across the country for these jobs. I wouldn't let that discourage you, though. If you're interested in a specific library, see if there is a volunteer or shadowing opportunity available. That's a good way to see if you enjoy the library and the lifestyle without making a huge commitment. It will also help you build relationships. My library frequently hires from the volunteer pool--I volunteered for about a year before I was hired. Be patient and keep at it. *These positions are usually eligible for Public Service Loan Forgiveness (PSLF) and reduced student loan payments, so don't let your loans keep you from accepting a low-paying job if it's what you want to do.